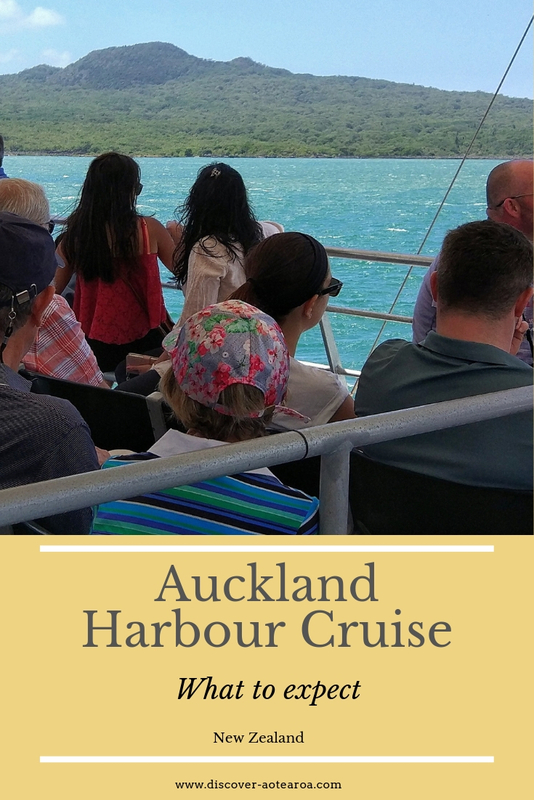 If you’re visiting Auckland for the first time, the 90 minutes Auckland Harbour Cruise around Waitemata Harbour gives you the perfect introduction to the city. Why is Auckland is the “City of Sails”, you might wonder. It’s called the City of Sails because of the many yachts and sailing boats that are anchored in the marina, characterising Auckland’s skyline. This is just one of the information you will learn on Auckland’s Harbour Cruise, one of the many fun things to do in Auckland. 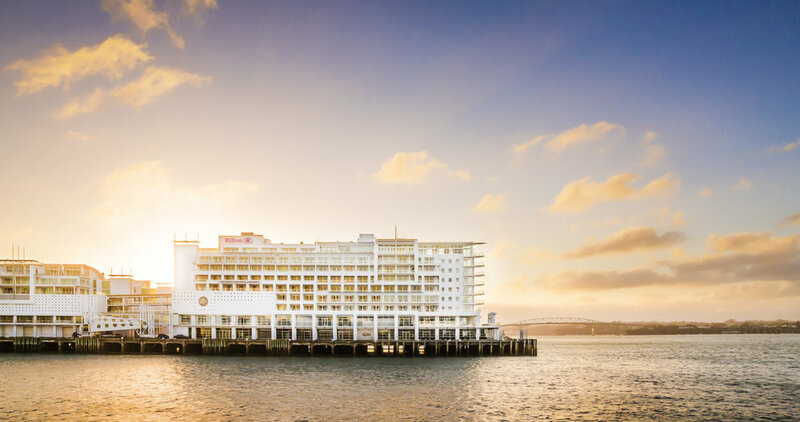 In only 1.5 hours, you get to know Auckland Harbour while the commentary lets you in on stories and fun facts about Auckland, the city’s architecture and its residents. Auckland Harbour is really called Waitemata Harbour, which is Maori and means glistening water. The Auckland Harbour Tours are offered by Fullers, the leading ferry company in Auckland. Our journey started off on pier 4 of the Auckland Ferry Terminal. As soon as we got on the boat, it manoeuvred out of its parking space. 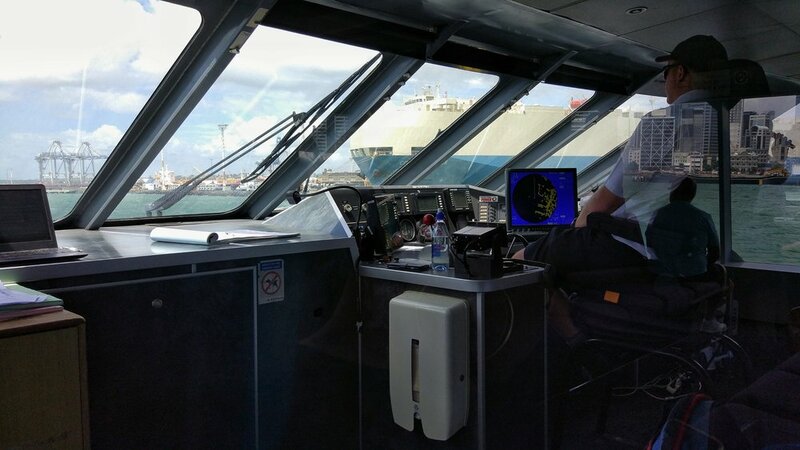 We first headed right, cruising along the Port of Auckland, where all the container and cruise ships land. The huge ships made me feel like a dwarf on a little toy boat. Very impressive indeed. Bean Rock Lighthouse with the Auckland Skyline - lovely! By now, the voice on speaker told us that the cafeteria was open and that we’re invited to complimentary tea or coffee and a muffin. We happily munched our muffin and kept listening to the interesting stories about Auckland’s harbour. Complimentary Tea and muffins, yay! The tour continued towards Rangitoto Island, the youngest island and volcano in the greater area of Auckland. The volcano erupted around 500-600 years ago, leaving a perfectly cone-shaped island. It’s covered in rough lava stones and the largest Pohutukawa forest in the world (although you should know Pohutakawa trees are endemic to New Zealand, which makes it a bit easier to be the largerst :-) ). Next on our route is Devonport, Auckland’s oldest suburb. The pretty town boasts a lot of charming cafés and restaurants, old houses and a boutique cinema. Mt. Victoria is an extinct volcano that offers the most amazing view over Auckland Downtown, while the other volcanic mountain, North Head, tells the history of the city’s defence in World War II. The canon, bunkers and tunnels can be visited and should not be missing on your list of things to do in Auckland. 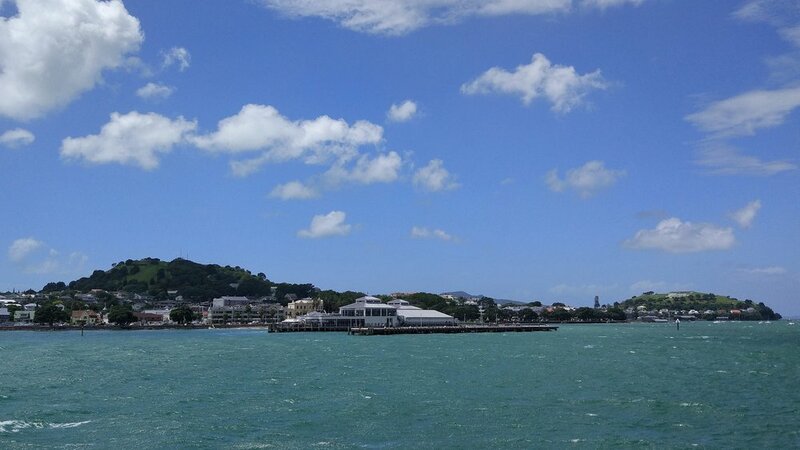 On the way towards the Harbour Bridge, we cruise past Devonport’s Naval Base, which has been operating there since 1841, only one year after signing the Waitangi Treaty (which marks the birth year of modern New Zealand). Today it’s the base for the Royal New Zealand Navy. 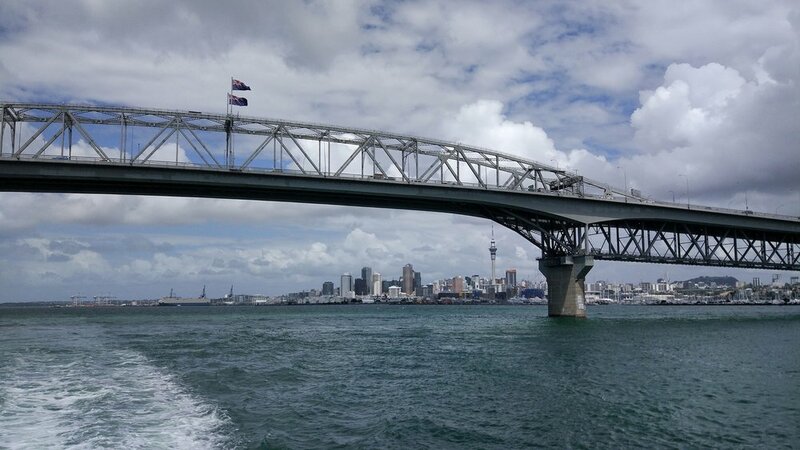 The Auckland Harbour Bridge has only been built in the 1950s. Before, it was only possible to reach the city from the North Shore by car ferry or by driving a long detour around the mainland. The bridge opened a lot of opportunities for the few people who lived on the North Shore back then. Only 10 years later, the 4-lane bridge was upgraded to the 8-lane bridge it now is. Behind the bridge is a very cool old orange factory. We learned in the commentary that this is the Chelsea Sugar Refinery, which has been established in 1884 and is still New Zealand’s Number 1 sugar supplier. The bricks the factory is built with comes from the clay that was excavated on the premises. We drive past the Wynyard Quarter, which was newly built for the 2011 Rugby World Cup, adding more restaurants and an urban playground to Auckland’s variety. Viaduct Harbour with their countless restaurants, bars and giant yachts rounds off the cruse as the Auckland Harbour Cruise slowly comes to an end. Auckland Harbour Cruise is a great way to get to know Auckland city the way locals do: On the water. This 90 minutes cruise is an awesome activity in Auckland for people who are visiting the city for the first time. You’ll learn so much in a very short time and get to enjoy time on the beautiful blue waters of Waitemata Harbour. If this is isn’t your first time visiting Auckland, this cruise is probably not for you. But if you’re still keen to spend some time on a boat, I highly recommend a tour with Explore Group. On their hands-on America's Cup Sailing Experience you learn how to successfully get a racing yacht moving. 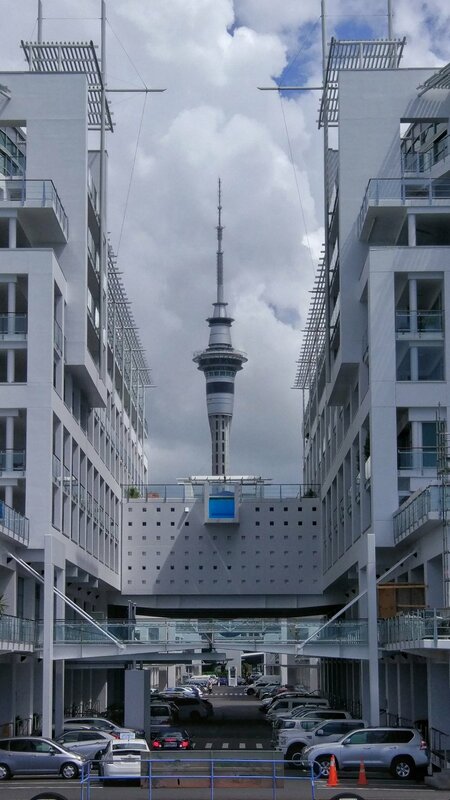 Sky tower AUckland in perfect symmetry with the hilton hotel! There is an abundance of islands in the Hauraki Gulf. Many of them can be reached by ferry and make perfect day trips from Auckland. An island that can't be overseen is Rangitoto Island. It's iconic volcanic cone is visible from almost everywhere on the eastern side of Auckland. Rangi is Auckland's youngest volcano of about 51 and is "only" 600 years old. A walk through the volcanic landscape to the top is a must-do when visiting Auckland. Another, lesser known, island in Hauraki Gulf is Tiritiri Matangi Island. The island is home to the oldest operating lighthouse in New Zealand and used to be farm land before volunteers turned it into a paradise. It is now an open sanctuary for birds and other rare native animals. Click here for more info about Tiritiri Matangi. Closer to Auckland ferry terminal is impossible. New, very modern rooms, all looking towards the water. An abundance of restaurants is found just outside the hotel! 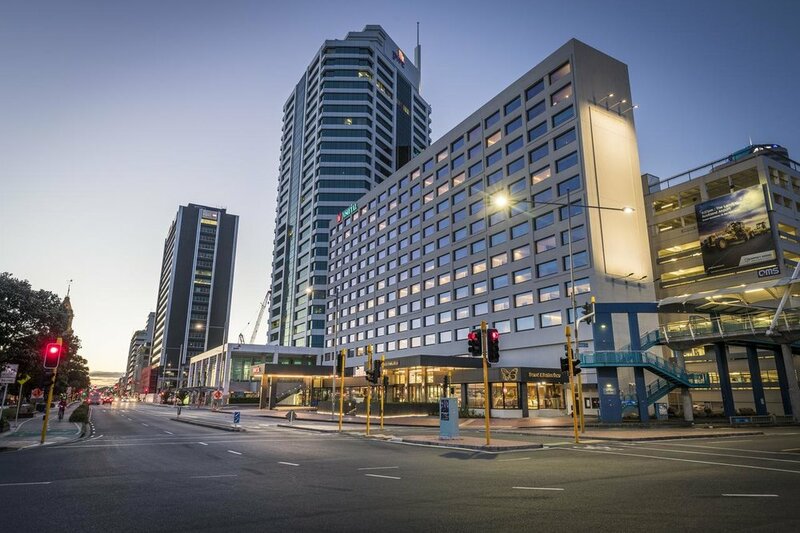 Sitting on a wharf in Auckland Harbour, close to Restaurants and bars, Hilton Auckland has sweeping views almost from every corner. Also, don’t miss their High Tea and Mixology classes in the Bellini Bar.